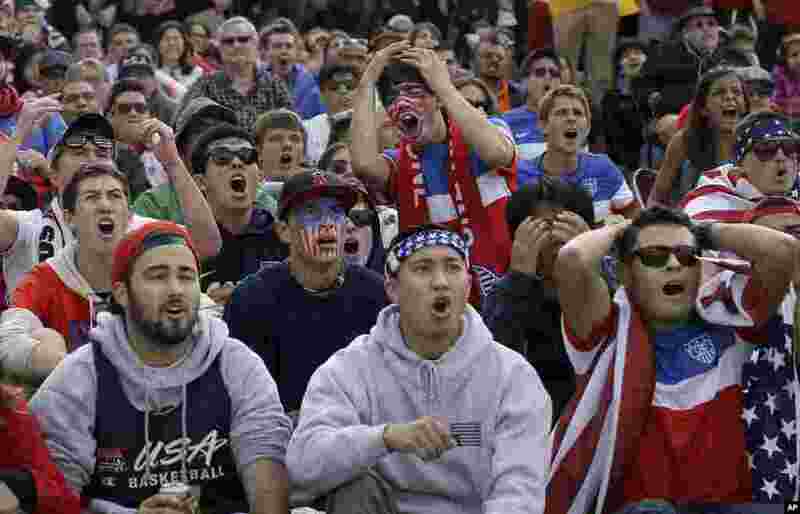 ۱ Alex Dubin, 17, center top, reacts with other U.S. fans while watching the 2014 World Cup soccer match between the United States and Germany at a public viewing party in San Francisco. 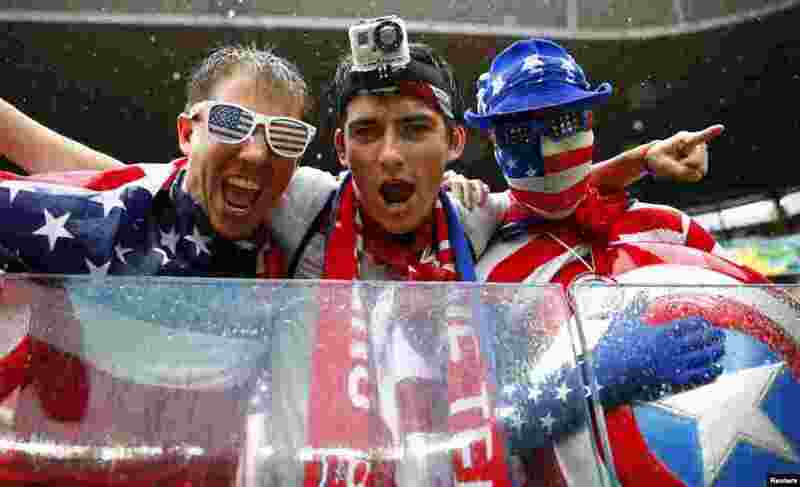 ۲ U.S. fans are seen before the 2014 World Cup Group G soccer match between the U.S. and Germany at Pernambuco arena in Recife, Brazil. ۳ A Muslim boy reacts as he takes part in a special prayer for better rainfall, in Mumbai, India. 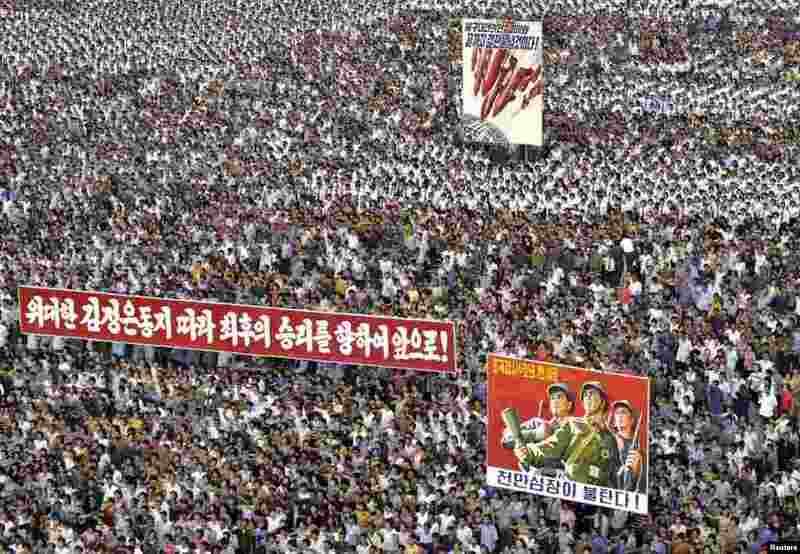 ۴ People attend a mass rally against "U.S. Imperialists" at Kim Il Sung Square in Pyongyang in this undated photo released by North Korea's Korean Central News Agency (KCNA). 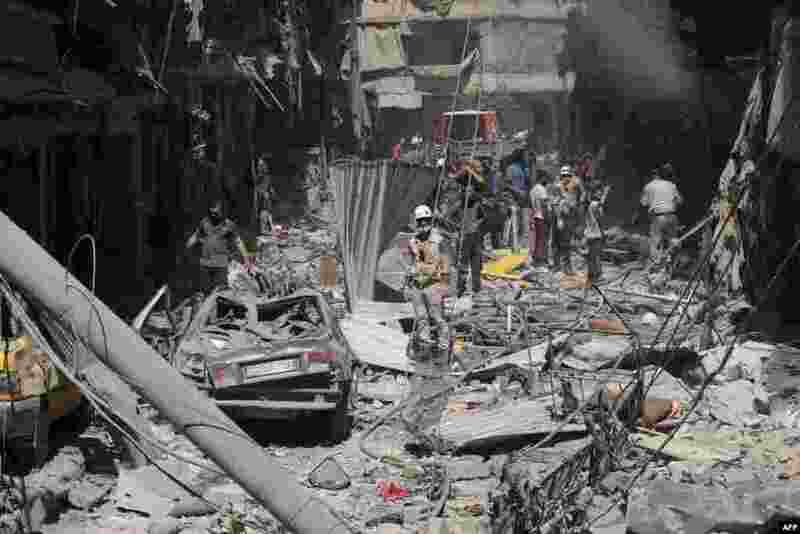 ۵ Destruction is seen following a reported barrel-bomb attack by Syrian government forces in the northern city of Aleppo. 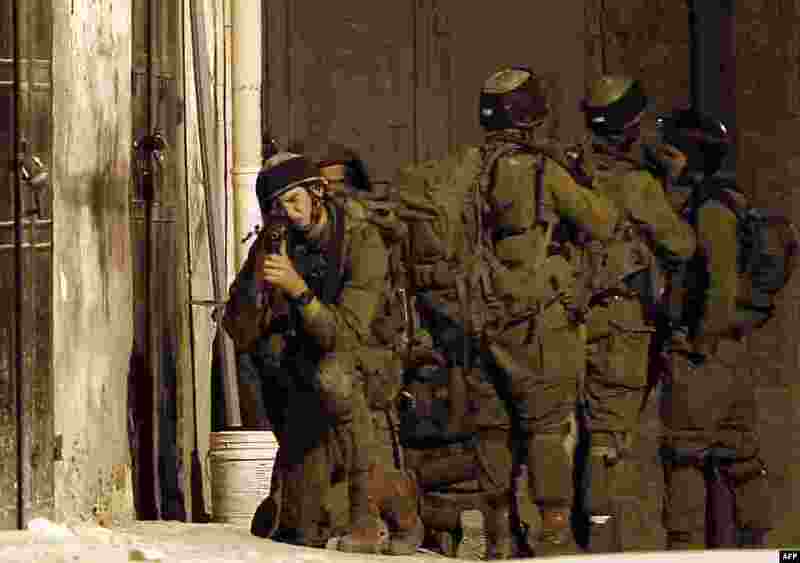 ۶ Israeli soldiers take part in a search operation in the West Bank village of Awarta as part of the operation to locate the three teenagers the army believes were abducted by Islamist movement Hamas on June 12. 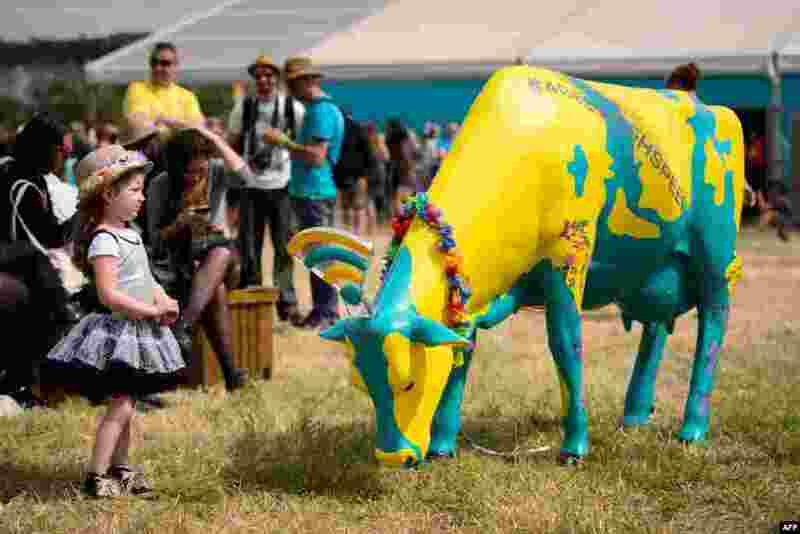 ۷ A child stands beside a plastic cow provided by a mobile telecoms company enabling free wifi for festival goers as revelers gather ahead of this weekend's Glastonbury Festival of Music and Performing Arts on Worthy Farm near Pilton in Somerset, south west England. 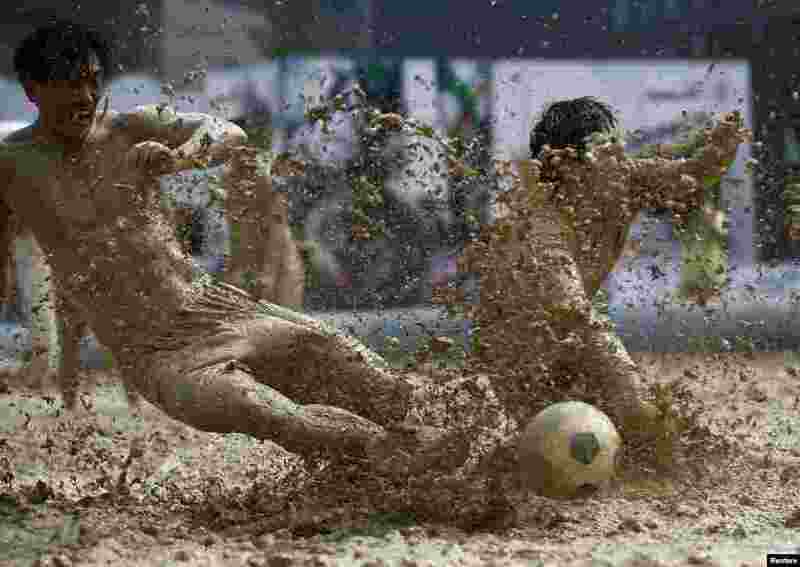 ۸ Players battle for the ball during a match at the swamp soccer China tournament in Beijing.